Ken Oliver will be our host this morning, following the run meet us for Coffee at Peet's Coffee around 9:30 am. Our normal 2nd Saturday of the month weekly club run is usually held at Christmas Hill Park in Gilroy. We meet at the parking lot inside the park, immediately to the right of the entrance behind the baseball dugout. Gretchen Yoder-Schrock is hosting the run after the run around 9:30 am join us for coffee at 5th Street Coffee. Fifth Street Coffee Roasting Co.
Bob Miller is hosting is our annual Thanksgiving Turkey Trot Run. Please bring some Non Parishable food to donate to the local food banks to help needy families during the holidays. 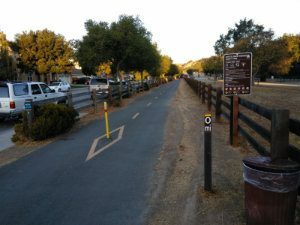 The run will be held at the Coyote Creek Trail in Morgan Hill. We meet at the trail head entrance at the 0 mile marker, near the corner of Morning Star and Eagle View Drive. Burn off some of those calories before your Thanksgiving Feasts. We will be running Redwood Retreat Road in Gilroy. The entire route is approximately 9 miles, however you can turn around and run less at any time. We will meet at the Chitactac-Adams Heritage County Park. Kim will be hosting this month's host choice run at Calero Reservoir off Mckean. Meet at Peet's coffee in Morgan Hill at 7:15 to leave by 7:30am. We'll car pool up to the parking lot/trailhead. Starting from the Rancho San Vicente entrance on McKean Road (this is just past the boat launch entrance North of Calero reservoir). More info to come.